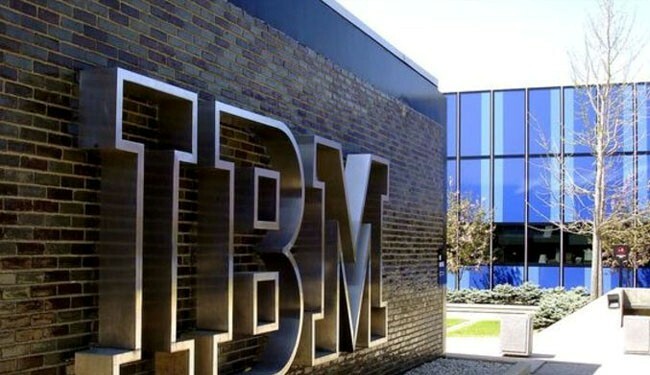 JNN 29 May 2014 Beijing : China is calling on banks to stop using IBM servers and replace them with local-made machines amid fears that the nation’s financial security might be compromised via the US-based company’s servers, a Bloomberg report has revealed. The new request comes amid an intensified spy scandal between China and the US. The People’s Bank of China and the Ministry of Finance have been asking banks to suspend operation of the International Business Machines (IBM) servers as part of a trial program, while the Chinese government analyzes security risks concerning the use of the servers. Bloomberg cited four sources familiar with the matter. The complete analysis is to be transferred to a working group on internet security headed by President Xi Jinping. The news follows an announcement that state-owned Chinese companies will cease to work with US consulting companies like McKinsey and Boston Consulting Group over fears they are spying on behalf of the US government. Spy allegations between the US and China escalated after a grand jury in the US indicted five members of the Chinese military with hacking into American computer networks and engaging in cyber espionage on behalf of a foreign government. The individuals — all allegedly officers of an elite cyber squad within the People’s Liberation Army, US federal prosecutors said on Monday — are accused of hacking six American entities and stealing valuable trade secrets and other sensitive business information on behalf of China. China has labeled Washington’s take on cyber-spying as a “complete disregard for moral integrity”and has accused the country of taking advantage of its geopolitical hegemony to spy on others, according to a Chinese report by an internet information body published this week. China announced last week that it would be investigating providers of important IT products and services following the row. The country’s foreign ministry announced that it is suspending activities of the Sino-US internet working group. Microsoft’s Windows 8 operating system was banned from government computers last week. The report which was published Monday and cited Tuesday by the official Xinhua News Agency, also mentioned the US government’s widespread spying programs revealed by former US National Security Agency (NSA) contractor Edward Snowden. The US has long accused China of spying on customers using Chinese routers and other Internet devices. However, a leaked NSA document shows Washington has been conducting the same kind of spying activity it accused Beijing of being engaged in. Earlier in May, a secret 2010 report in Glenn Greenwald’s new book ‘No Place to Hide: Edward Snowden, the NSA, and the US Surveillance State’ revealed that NSA has been secretly intercepting US Internet servers heading overseas in an attempt to spy on all data transactions of targeted customers. This entry was posted in America, Asia Pacific, United States and tagged Accused, China, Chinese Banks, Espionage, IBM Servers, us. Bookmark the permalink.